NEW FACE ON CAMPUS: Coordinated science instructor, Jorge Ramirez (left), shares his love of teaching and science with students Kitza Corona (center) and Marissa Mendez (right). With a new school year comes change and opportunity, especially for new coordinated science teacher Jorge Ramirez in Room S-5. Ramirez has been teaching for 20 years, having instructed students at Eastmont Intermediate for seven years and Van Nuys Junior High for 12 years. 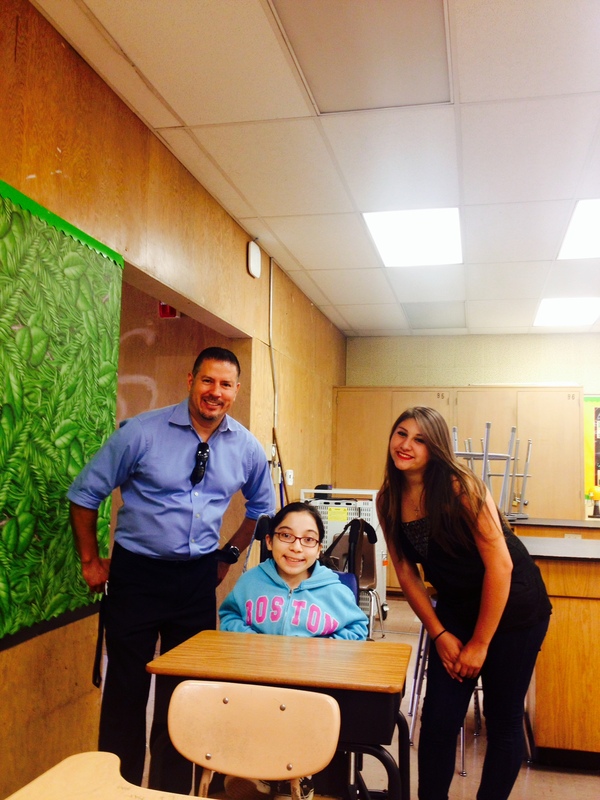 Wanting to experience high school life from the perspective of a teacher, Ramirez came to Schurr this fall. Ramirez graduated from the University of California, Santa Barbara, majoring in biology with communication studies as his minor. Inspired by his English instructor, Ramirez decided to return to school in order to pursue his love for teaching. “Actually, I originally planned on being a scientist—like a chemist—but I really liked teaching people in class,” said Ramirez. He plans to make his science classes more exciting for his students by giving them interactive projects. In addition to being a part of his students’ high school career, Ramirez also wishes to impact their future. Common Core has affected many teachers, causing them to adjust their teaching methods to fit the new curriculum and standards. Despite controversy about its effectiveness, Ramirez feels that these new styles of teaching will be beneficial to his students’ education. So far, Ramirez is enjoying his new work environment, particularly liking Schurr’s schedule. With a vision for his students, Ramirez aims to not only educate them but to spark their interests in the science fields as well.